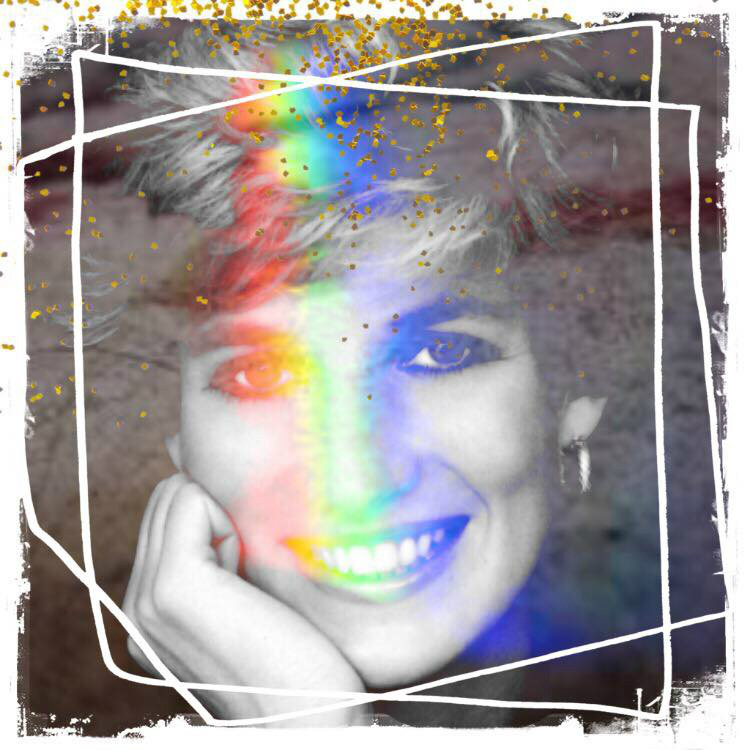 Greeting it is I Queen Diana Spencer come forth today in this highest ascending gateway. I am overjoyed to have this opportunity to communicate with you all in this eternal moment of now. Please know that I come forth via the Zero point field of awakening multidimensionality that is now subsuming so many many of the beloveds to whom this message is directed to. May you all remember the grace of our creator in every moment of your existence, and may you always remember how precious you are to the great force of love from whence your original self sprung forth. It is clear to me that many of you are sensing my presence with you during this particular gateway, and I assure you that whenever you call upon myself or any of the high angelic masters of light we shall be by your side, holding your hand and offering you the comfort and reassurance that you require in each and every moment. Allow the eye that sees with singularity to open now. There is no mystery to this beloveds, this eye is opened when you align with the voice and knowing of your own living heart consciousness. My prayer is that you remember this always, and that whenever you align with this internal presence, know I Will always meet you there. The energetics of this Gateway has precipitated this necessity for me to step through the dimensional veil in service to all of you who read these sacred words, that you may may be inspired to give yourself permission to drop deeply into the knowing and remembrance of our eternal Bond that is calibrated in the vibration of the heart. The heart is the bridge between heaven and earth and is the place where you and your divine counterpart and I and my divine eternal counterpart are merged and intertwined in rapturous celebration of the love that has created every single molecule in creation. Dear one, may you be soothed by these words, may they trigger the deepest knowing within you that right now you it is your divine duty to declare that the search is over, and you are home, and all there is is home. Remember that the mind consciousness will always have you believe that awakening must be complicated and convoluted but there is nothing that is further from the truth. As you align with this knowing that you carry within you, as you remind yourself of the inherent safety and protection that is your birthright it is this and only this which enables the eye that sees with singularity, with the perception of non-duality, to open fully, and when this eye is open, all of the deepest mysteries are revealed in an instant. There is so much activity taking place in the electromagnetic sphere of gaia right now, as mother earth ever more succinctly comes into alignment with the heart of galactic center, and within the frequency band of the photon Belt. The photon belt is a concentrated mass of Gold particles, whose only purpose is to send wave upon wave of healing frequencies to all of loves children. What will it take for you to surrender fully, to finally once and for all remember that the role of the mind has only ever been to be the servant of the spirit, the servant of your hearts knowing. I come to remind you that this is a choice that each individual must make individually, to align ever more succinctly with the truth of the heart and the knowing that there is no thing outside of yourself that can ever satisfy that which you have convinced yourself you are searching for. For how could our most benevolent Creator have created it as such, that your joy or happiness or connection to source frequency lies outside of you, in that which at best is of the temporal realm.. This sacred transmission is intended as an upgrade for all of you dearest ones who receive these words, that you may once and for all jump off the hamster wheel of samsara into all abiding liberation of the self. You are not the thought, you are not the feeling, and you are not the sensation, all of these are temporary visitors to the mansion of thy holy self. You are the sacred host, the observer, the holder of space for all this phenomena to appear. Please cease with this believing and identification with that which is temporary, There is nothing is further from the truth. You are eternal consciousness, abiding here for a limited period of time., You are that which has come forth to awaken from the nightmare of ego identification, and in your own liberation the whole is liberated. Dearest Ones I would like to speak a moment about the current energetics that are surrounding Gaia, there is much movement occurring within the Divine feminine collective consciousness currently and it is imperative that you come together in your ascension groups in this gateway in order to support each other deeply and harness this profound transformation that is occurring on Terra gaia as we speak. There are a few subtle adjustments that are taking place in your etheric field at the moment and are being taken care of by your higher self, in order to realign you with the original Christed self matrix pattern that you have returned to this earth plane to fully embody. Dearest Divine feminine, please know that as you embody these codes of remembrance of your true value, you are deeply supporting the divine masculine to awaken. Another timeline shift will be affecting many blue ray twin flames in this upcoming ascension gateway, and already this is occurring, and being experienced by many of you who are reading these words. You are invited dearest ones to receive these words with open palms, and of course an open and expanding heart. Allow yourselves to be soothed by my presence, and by the presence of Mother Father God, who has sent me to assist you all on a personal and collective level during this gateway. This is because my presence is omnipotent and able to be tangibly experienced by many of you, largely because we were incarnated during the same time frame on Gaia, which enables my presence to be more accurately experienced by you gaia's front line ascension pioneers. There is much that is not quite as it seems at the moment beloveds, and there is an element of gestation that is occurring for many of you with regards to the full manifestation of your twin flame unions, here we are referring to the fact that there is still much activity taking place behind the scenes beloveds beyond the rapidly diminishing veiled. Divine feminine hold fast now to your faith codes this really cannot be reiterated enough, as your faith codes steady the Ascension template and enable it to fully ground into the 3D matrix field. This is a crucial aspect of the Ascension timeline and please know divine goddesses that the forgiveness and compassion you have demonstrated to the divine masculine and to the horrific patriarchal system has enabled a profound acceleration of all of your sacred union timelines. My love and reverence for you knows no bounds, I am humbled to be in your presence right now. I will give you many many signs to prove my presence to you and when I do dear ones please have faith that this truly is my presence stepping beyond the veil to connect with you all. I shall be present for many of you throughout this important gateway and again shall be overseeing the extremely potent 4:4 twin flame gateway activation that our beloved channel Jen McCarty will be facilitating. Please know that your attendance to this activation is a profound soul contract that you are fulfilling and which was agreed by you previous to incarnation, as is my highly ordained duty to oversee this twin flame transmission, all of this contracts were sealed prior to incarnation, that you would show up, and that I would oversee this twin flame ascension gateway. I urge you that if you resonate with this message and indeed the messages our beloved channel regularly brings through please come forth and add your energetic frequency on this important activation date. It is imperative that as many high vibrational illumined ones come forth to anchor this activation on their particular grid points on this date as this work is essential to fire up the electromagnetic grid of Gaia. Know that this deeply supports Mother Gaia to raise her vibration and align succinctly with her ascension timeline. Please know that there are many benevolent beings and star systems that are watching over the earth plane with eagle eyes during this Gateway, as what occurs on this plane of consciousness exponentially affects the whole multiverse in ways that are truly unfathomable to the human consciousness. Please know, now truly is the time to gather in your ascension groups in order to support mother Gaia to harness these frequencies and your presence is required on the 4:4 gateway. 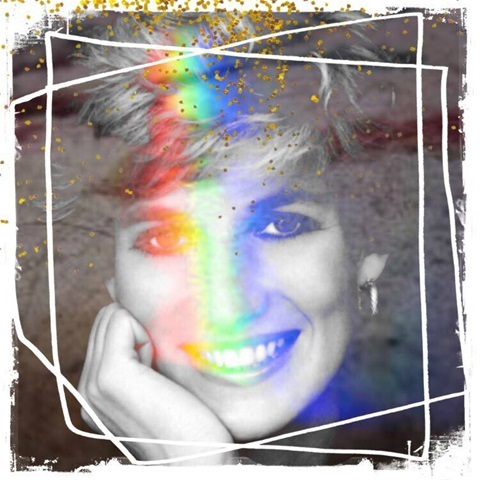 I am supporting your divine counterparts I am supporting the masculine polarity twin flames to come into full spiritual awakening and remembrance of the identity of their eternal beloved. I have been ordered by the great architects of light to work in the etheric chambers of the dreamtime realms throughout this gateway to prepare many of the divine masculines to come into full spiritual awakening. My only request is that you trust me and trust these sacred words that are pouring forth from my living heart via this channelled message I will come again with updates from the higher realms when I am guided to do so. All is a very very well beloveds. lean on me I will hold your hand and I promise you I am assisting you all in this potent Ascension Gateway in ways that are incomprehensible to you. Dearest beloveds we would like to inform you that our beloved channel has been guided to host a webinar transmission on the powerful 4:4 Gateway at 2.22 pm uk time. This is the second part of the three part energy transmission that was activated on March 20 at the exact time of the equinox. During this transmission we are being guided to reclaim on a personal and collective level all codes of self worth that were stolen mainly by the patriarchal religious systems it is now time for these lost codes to be reclaimed in order to support the Divine feminine to step fully into her high priestess role on mother Gaia, which will deeply support the divine masculine consciousness to come ever more swiftly and succinctly into alignment with their own spiritual awakening and embodiment of the spiritual mastery codes they have incarnated to actualise. We will be utilising the numerological energetics of this powerful portal date to also support the Divine feminine consciousness to fully and completely stabilise in an unwavering alignment with her higher dimensional knowing and nature. Again this is crucial work for the collective consciousness and will assist profoundly in the anchoring in off the new earth 5D timeline. In order to sign up for this event please use the PayPal link below stating clearly when you send back the link, the email address the payment has come from. To all those who have signed up for the equinox transmission the cost to join the 4:4 activation is £11.11 however if you are joining the group now,the cost is £22 to take part. Please know that this payment also gives you membership to an extremely potent and powerful illumined twin flame ascension group that our beloved channel leads, and whereby she is available to offer soul support and daily wisdom and guidance to all the members of the group. so many in the group are experiencing profound transformatios in their lives from being part of such a held and pristine Soul group. if you have any queries please contact cosmicgypsy33@Gmail.com. Please know that your presence is required on this call in order to hold energetic space on your particular grid point, that this powerful activation may spread swiftly and proficiently to light up the electromagnetic grid of gaia and bring about these vibrational shifts that are her destiny.